Throughout history, deception has been an effective survival strategy. Yet, like all primitive survival strategies, when deception becomes habitual and is not directly about survival, it prevents us from continuing growth. For each of us, to the degree that we are not real with ourselves or that we withhold important truths from others, we just cannot keep evolving. We can see in our own lives and in the larger society how dishonesty poisons our world with cynicism and mistrust. One understanding that seems clear is that our future is threatened by these toxins — greed and aggression that proliferate when we are not facing and speaking truth. This suffering is calling for us to deepen our commitment to truth-telling and being real with ourselves and each other. The literature of the Desert Fathers, the fourth century Christian monastics living in the deserts of Egypt, powerfully describes a path of radical self-honesty. 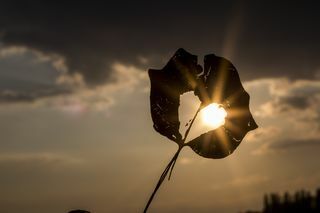 They call this honest recognition of the thoughts of the heart, and it begins when we open up to examining the stories, beliefs and emotions that make us feel bad about ourselves or others. They are described as demons in the sense that they are the shadow side and are the limiting patterns of a false self. There is great power in this. It takes courage and it takes practice. We teach a lot about meditation — naming what is here, and staying with it. But can we bring this radical self-honesty into our relationships with each other? When we are able to shine a light on what is painful inside us, touch into it, and say it out loud to others, the last bits of shame that cling to it begin to dissolve. Not only that, but sharing from our own undefended heart helps others to share with similar depth. This is essential and is part of the healing, awakening process that we find in twelve-step groups and, in the Buddhist tradition, Kalyana Mitta or Spiritual Friends groups. The most basic truth is that we all have ways of creating distance and, if we want to love well, we have to be willing to open honestly to our vulnerabilities and share them with each other. The practice of radical self-honesty and authenticity with others is crucial if we want to move toward healing in our own relationships, our communities, and our world. You might take a moment to think of a relationship where you might be feeling some sense of separation from a person you care about. With honesty and clarity, sense underneath the separation, and feel into your own experience of vulnerability, hurt, fear or unmet need. As if you are offering it to an elder, let it be held in the space of awake and compassionate awareness. Then imagine sharing, without any blame, your vulnerability with this person and inviting them to share how their heart is experiencing what’s going on. Can you sense what new possibilities for understanding and connection might open up? For more talks and meditations from Tara Brach, visit tarabrach.com. Rich, A. (1995). On Lies, Secrets, and Silence: Selected Prose, 1966-1978. New York: W.W. Norton. Stewart, C. (1990). Radical Honesty About the Self: Practice of the Desert Fathers. Sobornost, 12(1), 25-39.